How cute are these American Flag cupcakes? Check out the recipe for them here! Happy Election Day! As an America Government teacher today is a big day in my classroom : ) We will be spending the day watching election coverage, holding a school wide mock election and being patriotic. In case you are in the mood for some desserts while you watch election returns tonight here are some yummy treats to help you celebrate America! 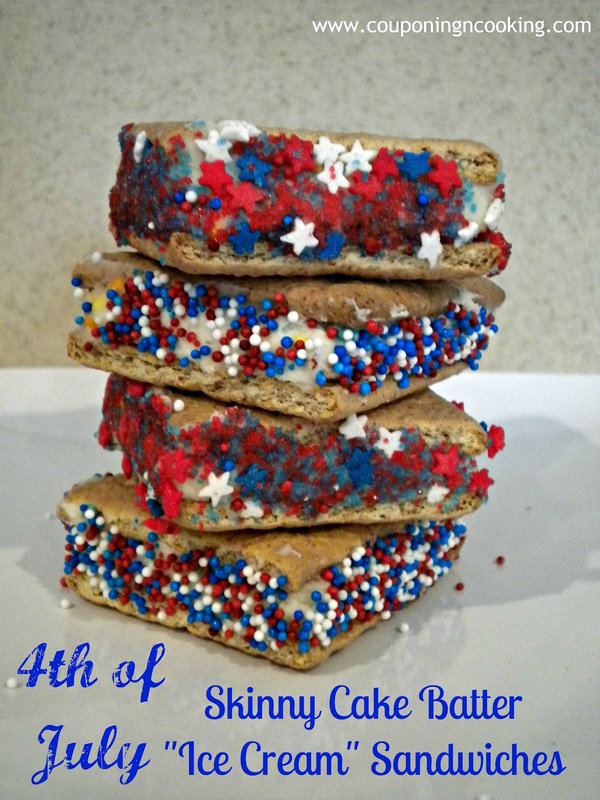 4th of July Themed Skinny Cake Batter "Ice Cream" Sandwiches, recipe here. 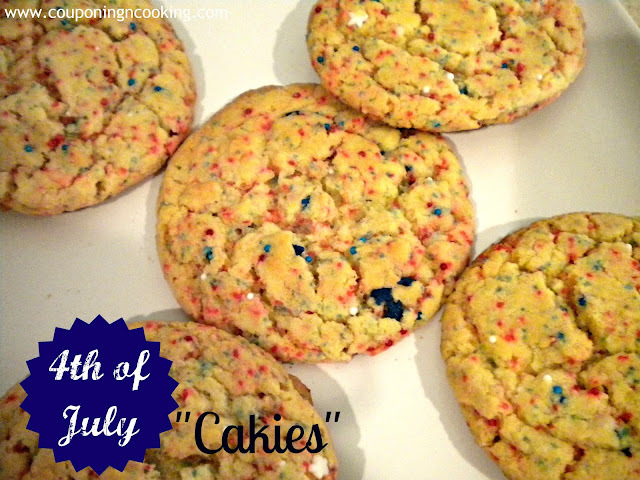 4th of July Cakies (cake mix cookies), see my basic Cakie recipe here. Happy election day to you! So many delicious recipes. Y-U-M-M-Y, my head is spinning and belly hungry. Thank you for linking up to the Empowered Living hop, hope you stop by again. Came from the blog hop! I am always happy when I find someone else who loves to coupon too! Hope you follow me back!